Seth Lugo, one of the best relief pitchers on the Mets, returns to the rotation where he set up the last two seasons to compete against the Chicago Cubs on Thursday. Callaway said that's why he stretched Lugo out on two innings in double head on Monday. Lugo will be limited to four innings or 65 places on Thursday. "I've always been a starter," said Lugo. "I'm more comfortable with this job, it's easy for me to get back into routine." 0-day stay on the disabled list was backdated to his last start. Last year's medical incident with Syndergaard was a key factor in the demise of the Mets' old medical staff and their disappointing 2017 season. 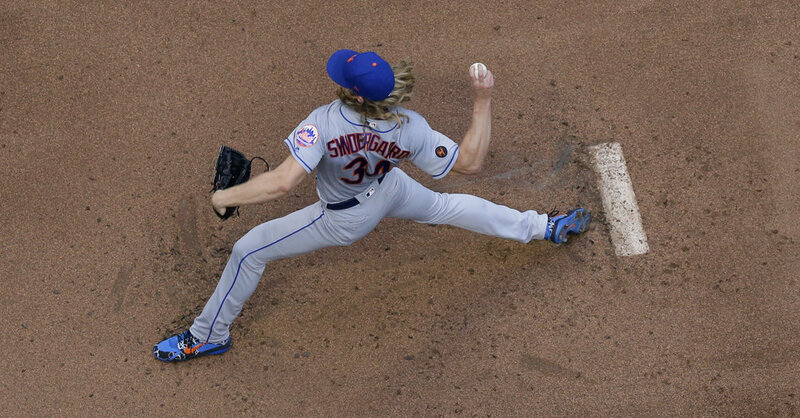 Syndergaard rejected a M.R.I. Last April, after some pain in his right bicep, and the Mets did not demand that he underwent the examination. Then he injured his right latissimus at his next launch and missed four and a half months of the season, raising many questions about the Mets' medical records, which later changed. Even though Syndergaard did not live up to its highest standards year, he ran well. He had a 3.06 E.R.A. and 76 strikeouts over 64 innings. His walk rate doubled to 4.8 percent year-over-year, but was still low. His average fastball speed was nearly a mile per hour over last year, but still at 97.4 mph, and he used all his positions. Now, the mets' unequal rotation will be without one of their two best bowlers – and maybe another – and the top-heavy bullpen will be a short, reliable arm.